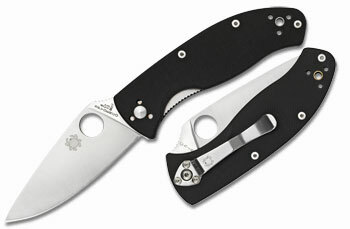 Spyderco’s ParaMilitary G-10 is a reworking of their larger military series. 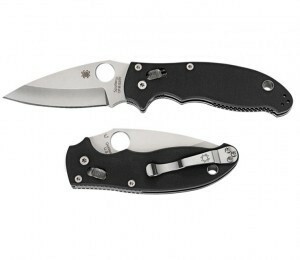 It offers many small improvements to the design as well as a more compact size for easier everyday carry. 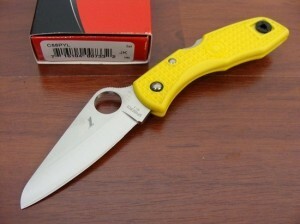 While it was designed as a survival knife, this is a great mid-sized pocket knife for everyday carry. It’s full of features, some of which aren’t apparent at first glance, that make this knife an excellent choice to have with you whether you’re in the woods or at the office. 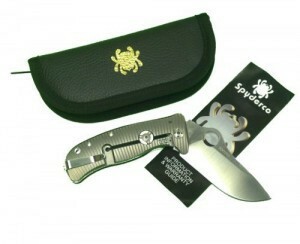 The second entry in Spyderco’s Sage line, this popular knife was made to showcase the work of Chris Reeve, the inventor of the Integral Lock system. The Sage-2 features a CPM-S30V composite steel blade which won’t pit or corrode and holds an edge better than any other knife-making steel. The handle is solid titanium, machined to perfection, which gives the knife an incredibly solid feel without adding weight. The entire knife is built around Reeve’s Integral Lock system which allows for a linerless handle, increasing strength and durability. 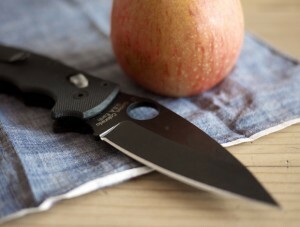 The knife snaps open with one hand, locks into place very smoothly, and once opened there is absolutely no play in the blade. 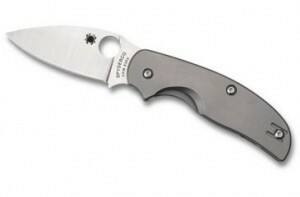 Spyderco has added phosphor bronze washers to the Sage-2 knife in particular, in order to showcase the smooth action of the Liner Lock system. Sage-2’s titanium handle is outstanding. Not only does the satin finish look very nice, but it’s so tough and durable that you could pound nails with it. Resistant to scratching, pitting, corrosion, and probably even shark bites, titanium has a reputation for being rugged for a reason. 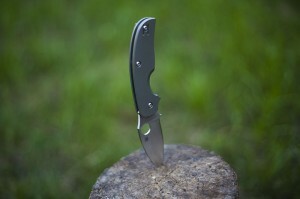 The Sage-2 has a reversible wire pocket clip which allows you to wear the knife on either side. 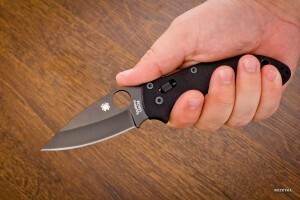 The clip is deep enough that the knife sits low in the pocket, preventing the handle from getting snagged on anything as you move. 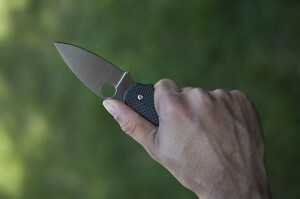 While it seems simple, having a pocket clip that works without being too stiff is a huge improvement over cheaper knives, and it’s an excellent illustration of the amount of care and thought that Spyderco has put into their Sage knives. 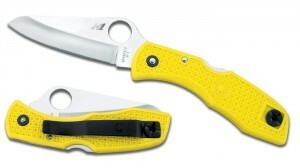 The entire Sage line is made without thumb studs for opening the blade, instead using a hole for your thumb to rest in when you flick the blade open. 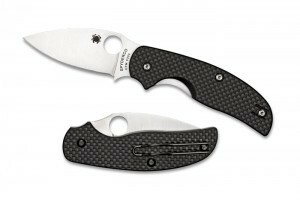 While Spyderco has said that they prefer the hole over a stud since it reduces the blade profile and prevents the knife from getting caught on your pocket, it might take a little bit of getting used to. Titanium has a lot of benefits, the most obvious being durability and weight, but it comes with drawbacks as well. The satin finish of the handle lacks texture, so using the Sage-2 when it’s wet or especially greasy could lead to the knife slipping in your hand. 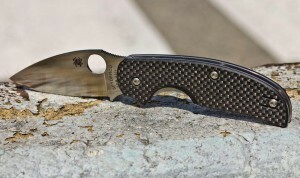 In some circumstances, the carbon-fiber mesh handle of the Spyderco Sage-1 could be a better choice. 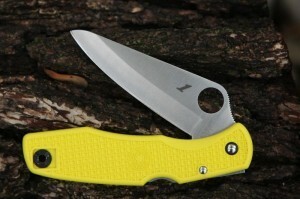 The Sage-2 is an excellent mid-sized knife that will do everything you need it to and more. 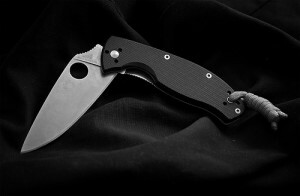 The titanium handle is overbuilt and rugged, which makes it impossible to destroy without adding an ounce to the weight. Reeve’s Integral Lock system is made for linerless handles, lending, even more, strength to the knife and showcasing the impressive qualities of titanium. 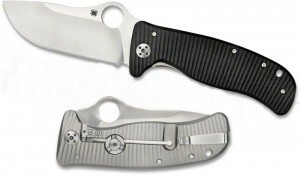 Spyderco has a reputation for making excellent knives, and the Sage-2 is no exception. 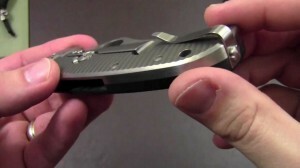 If you’re looking for a folding pocket knife that will stand up to heavy use, this is the one for you.